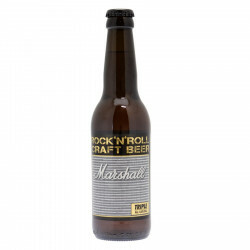 The Marshall beer is a craft triple beer, inspired from the "Marshall" amplifier, well-known amongst musicians. This beer has a lot of character yet elegant and full-bodied. 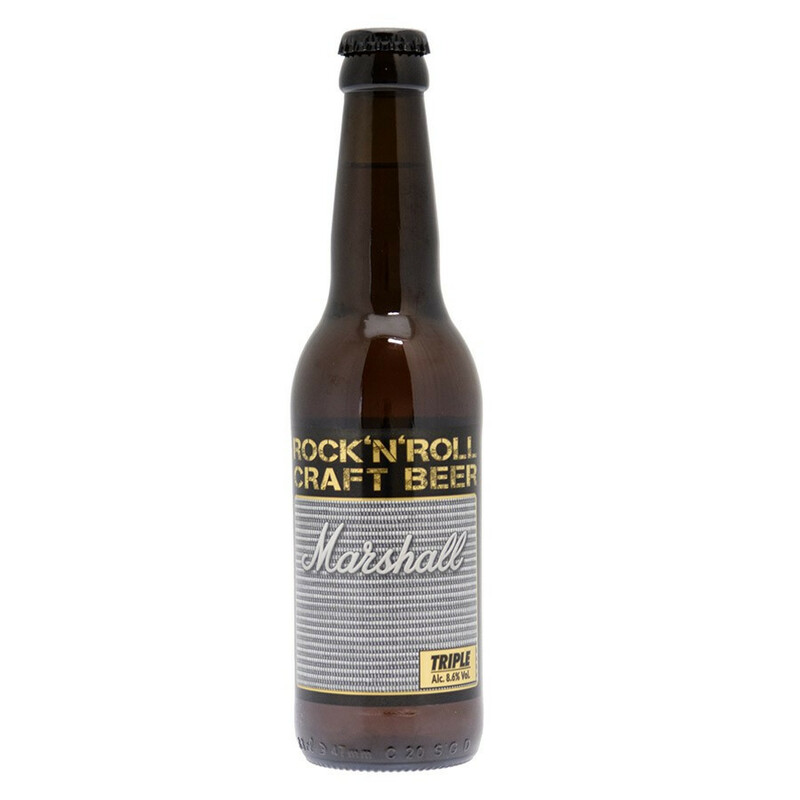 The Marshall beer is a craft triple beer, inspired from the "Marshall" amplifier, well-known amongst musicians. This beer has a lot of character yet elegant and full-bodied. Quite malty, this artisanal beer has a subtle hoppy flavour, golden colour and a surprising coriander zing. According the Hachette Guide, this "golden blonde exhales perfumes of caramel, sugar and baked fruits. In the mouth, the texture is rich and round, with fruity and spicy notes over dominant sweet flavours, and undertoned hops. This characterful beer lingers in the palate." Ingredients: water, barley malt, coriander, hops and yeasts.